Now a National Historic Landmark, the opera house was designed by Denver architect Robert Roeschlaub and artist John Massman filled the interior with trompe l’oeil murals. 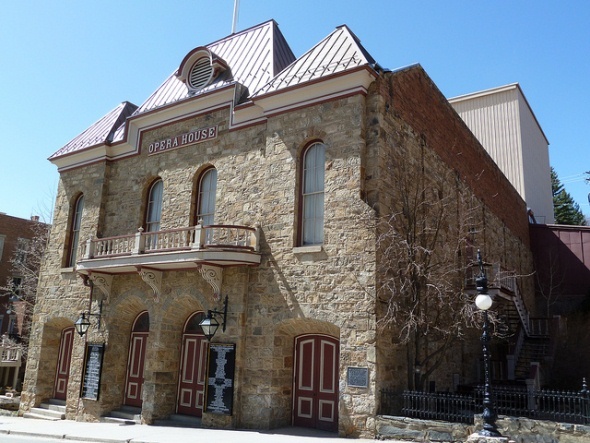 The opera house drew crowds for musical and theatrical events. P.T. Barnum’s circus performed there, as did Buffalo Bill Cody, Oscar Wilde and Harry Houdini. However, reflecting the failing fortunes of the town itself, the opera house was shut down not long after its opening. Summer festivals with guest performers joining the 75-year-old Central City Opera Company continue to draw audiences up the mountain. The building was again renewed in the 1980s and 1990s. In 1999, to the relief of regular patrons, the original wooden seats were replaced by padded ones.